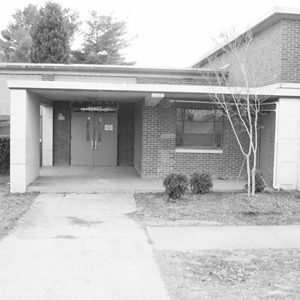 The Mary H. Wright Elementary School, constructed in 1951, was one of the first built in the state with funds from the statewide sales tax used to finance the state’s equalization program. The school is also significant as an excellent example of International-style institutional architecture in upstate South Carolina and as an important design work of W. Manchester Hudson and A. Hugh Chapman, Jr., prominent local architects of the mid-20th century. After completion of the main, two-story, L-shaped brick block of the Wright School in 1951, two additional brick wings, built to resemble the original section, were added. Both additions appear to have been part of the original plan for the school.